The anger denotes weak mind. They have weak brain. People get anger when Mars, Sun, Rahu and Shani are in first house. People get arrogance if Jupiter is in first house. If Mars, Rahu or Shani affects second house then person speak anything in anger. The weak mind is responsible for anger. Child gets anger if the child has weak from inside or remains ill.
Children get anger due to weakness or disease. This happens due to Jupiter or Venus. Some special symptoms indicate the reason of anger. If Mars is weak and child’s shoulder is titled then child get anger. If Mars is weak then child’s chick becomes big while doing anger. The weakness of body is responsible for anger. Child suddenly becomes weak and irritable when Venus is weak. If child’s shoulder is downward and he gets fatigue then Mars is weak. The immune system becomes weak due to weak Mars. Child tumbles his leg while walking. It indicates weak Jupiter. They have weak liver. This makes weak digestion and acidity increases. The wrong sitting habit indicates weakness of the body. The blood circulation is not good, lack of protein, calcium and carbohydrates. This type of children gets irritation and anger. If Sun is weak, sixth or seventh house due to gochar or comes with Moon then child face two problems due to Sun. This type of children faces eyes or body temperature increases. Children become hyper due to Sun. The anger and depression increase with the movement of Sun and Moon. Sun increase temperature and creates eyes problem. If Shani affects first or sixth house then one get weakness in the body. If there is darkness under eyes then it indicates lack of calcium. One gets pain in soles, ankles. Drink plenty of water. Give carbohydrates and protein to the children. The child does less anger when his health improves. 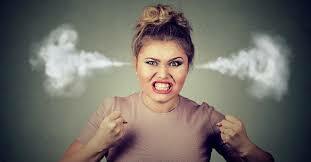 Anger also can be reduced by controlling emotions. Child can do anulom-vilom. Child can consume calcium and water. Give brahmi to the child with water. This reduces anger.